See also original Economy - IN plan location on their website! 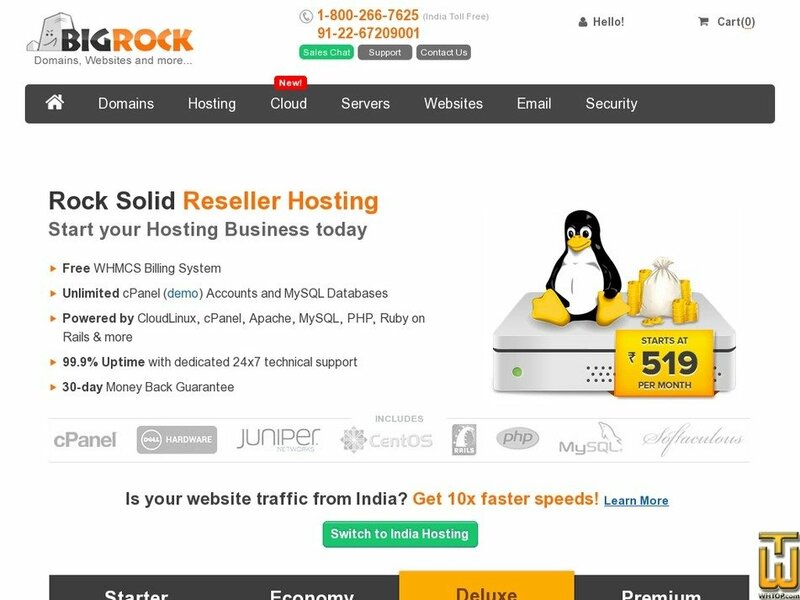 Harness cPanel/WHM to kickstart your Reseller business and easily manage your customers. Simplify billing,provisioning and customer management with WHMCS and cPanel/WHM. 300 applications (WordPress,Joomla, Drupal, Magento etc.) installable with one click. Email accessible from any device with state-of-the-art Webmail powered by RoundCube. Price: INR 999.00/mo. VAT 18% inc.
Price: INR 1,999.00/mo. VAT 18% inc.